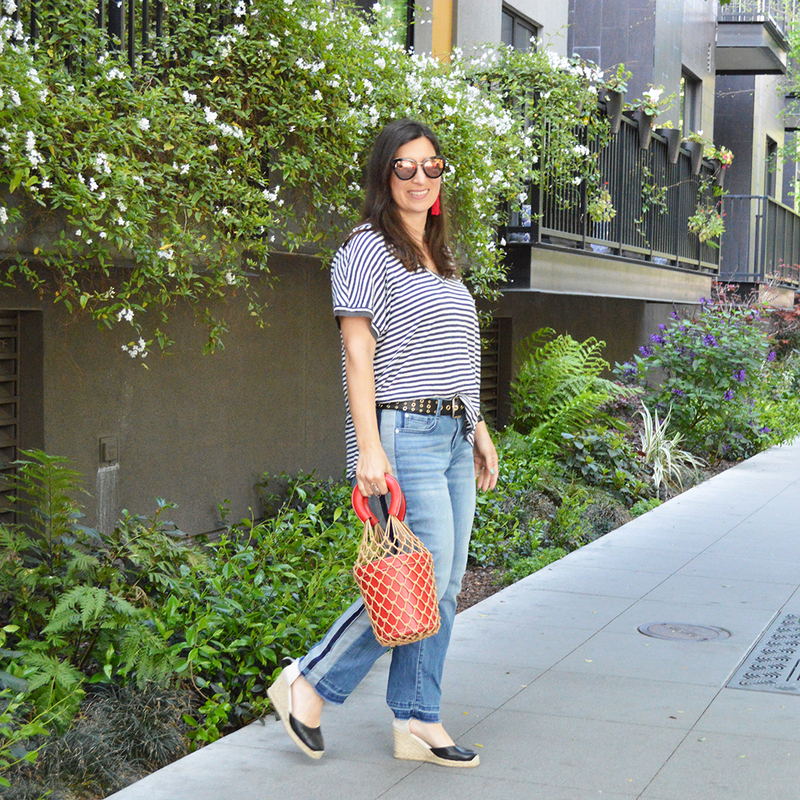 The weather has been fabulous, so I took my kids to meet some friends at Santana Row for a stroll along the Row, and also a yummy lunch at The Counter. I had a southern fried chicken burger with provolone cheese, and dried cranberries, on a brioche bun with a side of shoestring fries, and pesto sauce. It was a really good combo! I’m going to try it with beef next time; or the impossible burger. Have you tried it? It’s so good! This outfit was perfect for a relaxing afternoon with friends. 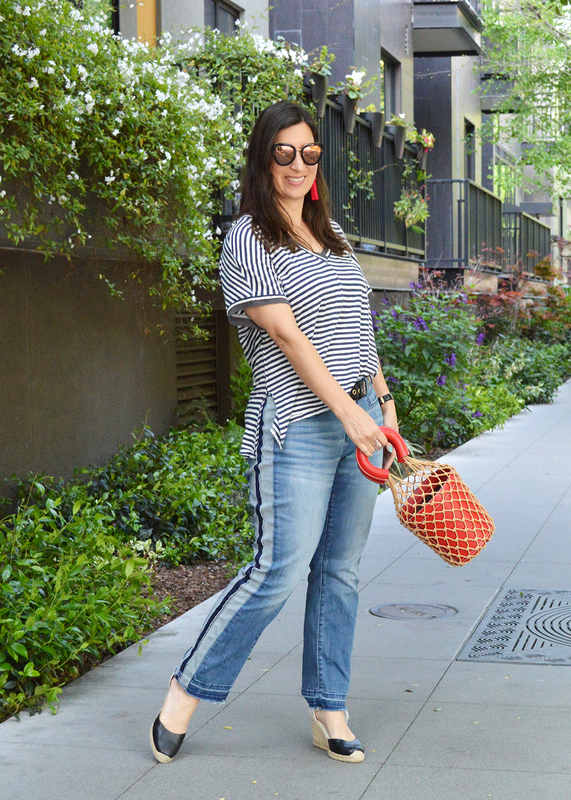 This might be my new favorite “throw-on” tee for the spring and summer seasons. It’s really comfy and I love the loose fit. 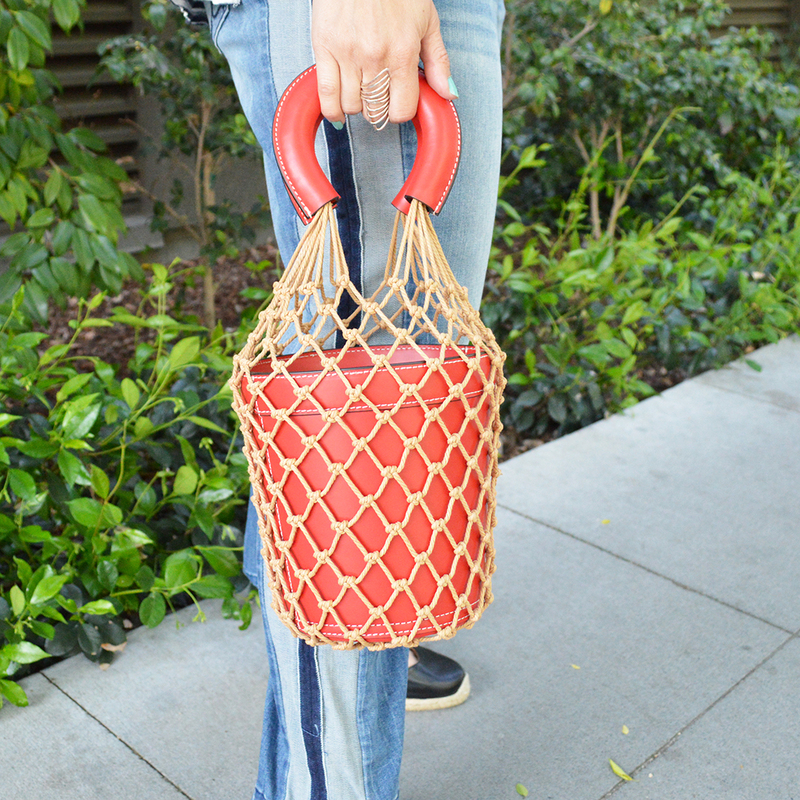 It comes in a few additional colors, so I might pick up one more! 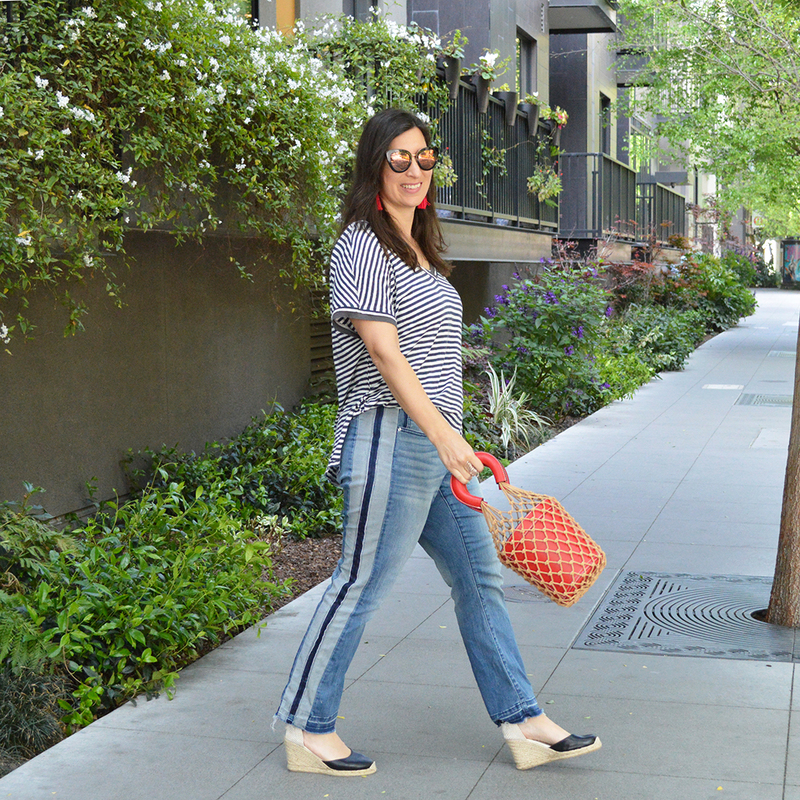 Are you enjoying the spring weather we are getting? Hopefully it won’t get hot too quickly; this weather is perfect! 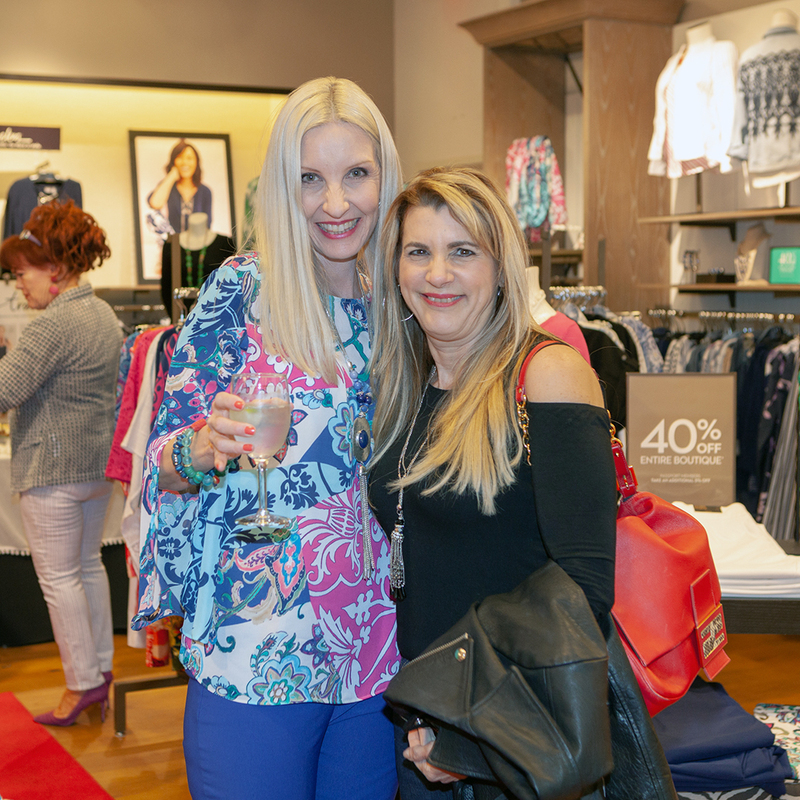 Thank you to everyone who came out last Thursday night for the Chico’s #HowBoldAreYou spring style event! 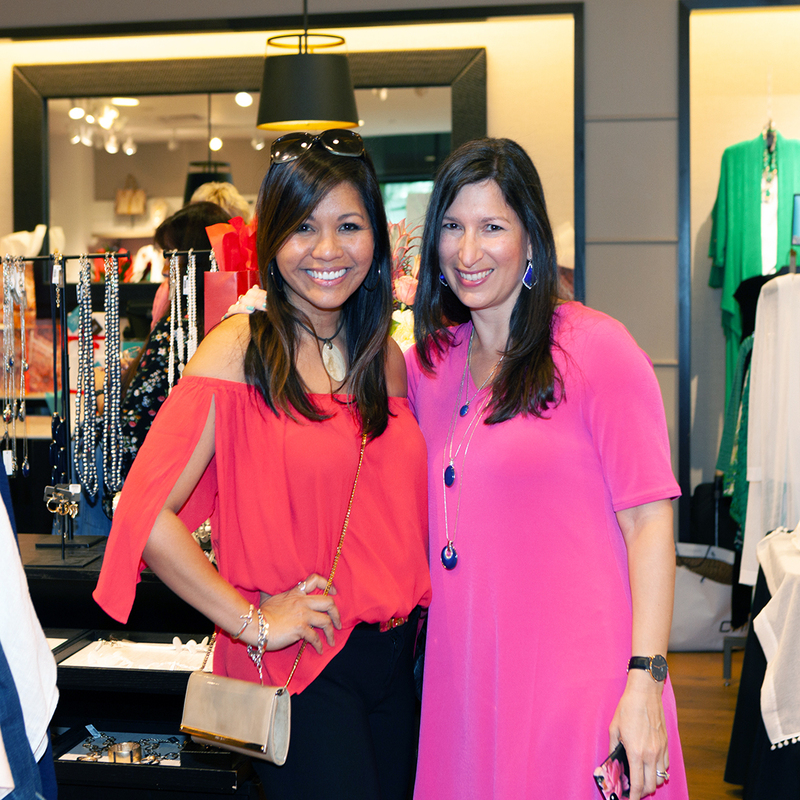 Dawn from Fashion Should be Fun and I hosted the event, and we had so much fun! Like almost every-time we do something together, we forget to get a photo together! Haha, you can remember with me by clicking here. 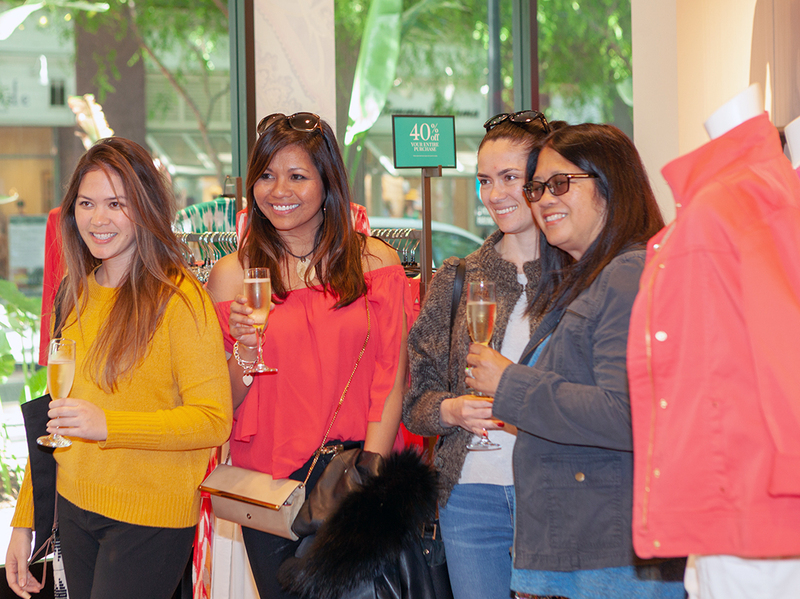 The Chico’s #HowBoldAreYou spring style event at Santana Row was so much fun! 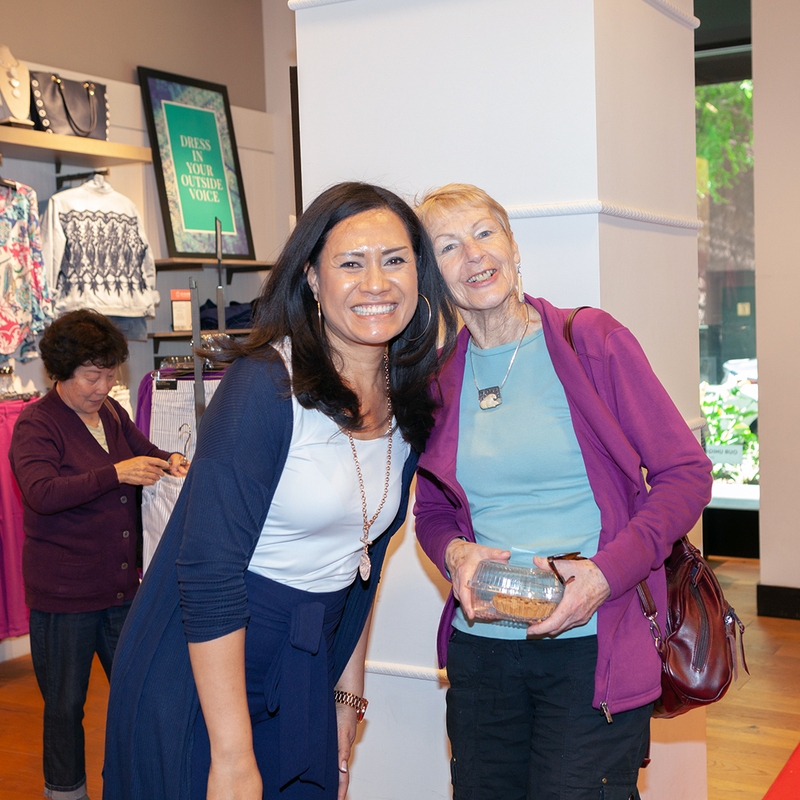 I really enjoyed meeting many of you in-person and helping you shop! 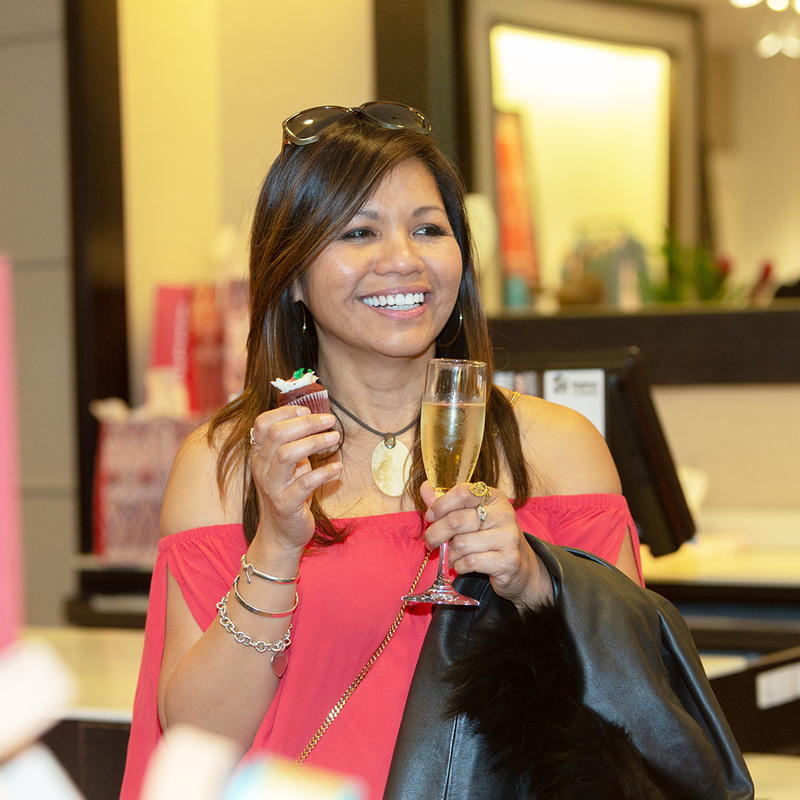 It was so much fun to see my favorite necklace sell out in the first half hour of the event! If you haven’t seen my favorite necklace from Chico’s yet, you can check it out online here. It is three necklaces in one, clipped to an extension chain. The necklaces are all reversible; they can be worn blue or silver. The necklaces can be worn alone, in a pair, or all three together; giving endless mix and match possibilities. There are so many options with this necklace! It is perfect for traveling because you can wear it on the plane, then you have several necklace options while on your trip! I can’t wait to take mine on vacation with me this summer! 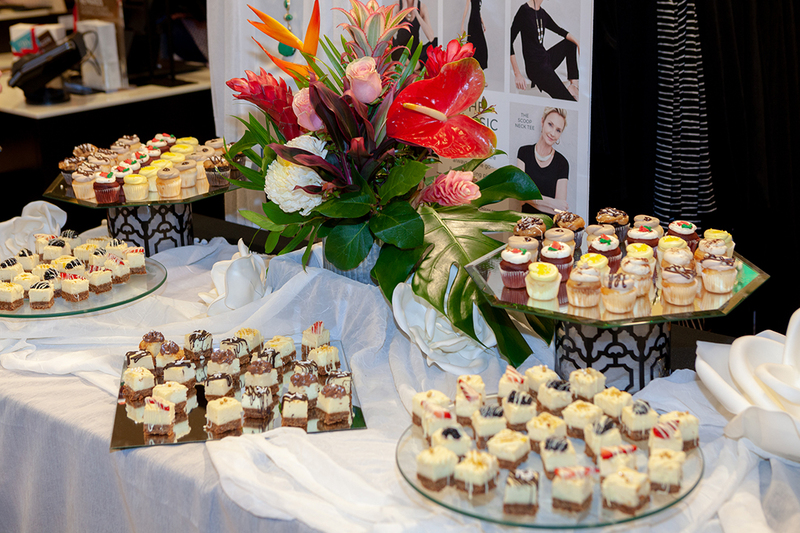 The event was filled with shopping, champagne and other drinks, mini cupcakes, and mini cheesecakes! So yummy! If you watched my insta-stories, you may have noticed Dawn and I dancing the night away; we can get pretty silly! Yup, we’re silly! 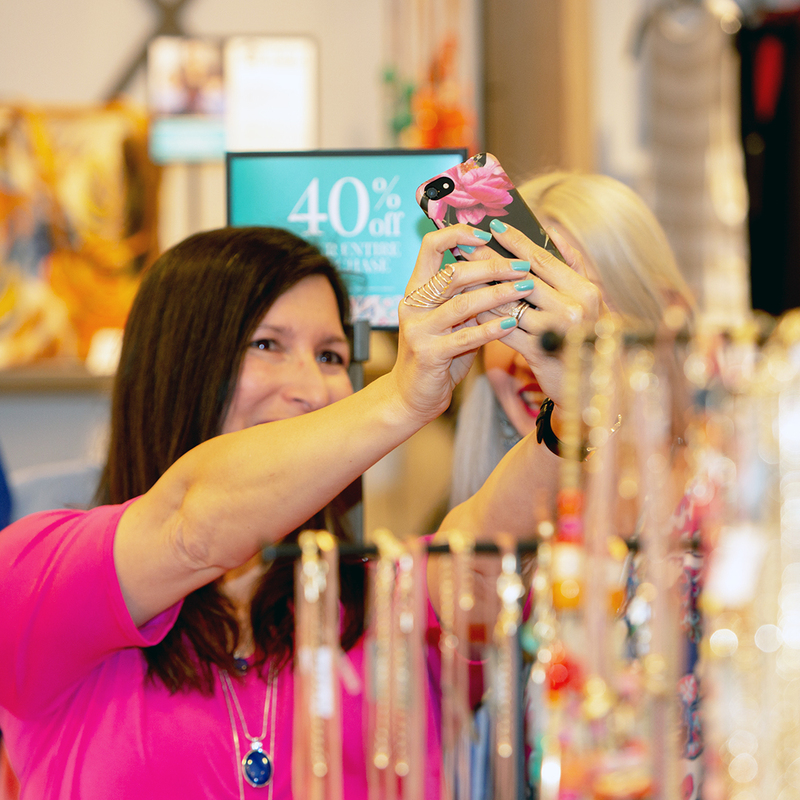 Let’s face it, how can you not be excited and get a little silly when you are surrounded by fabulous clothing and accessories! The Chico’s spring 2018 collection is so pretty! 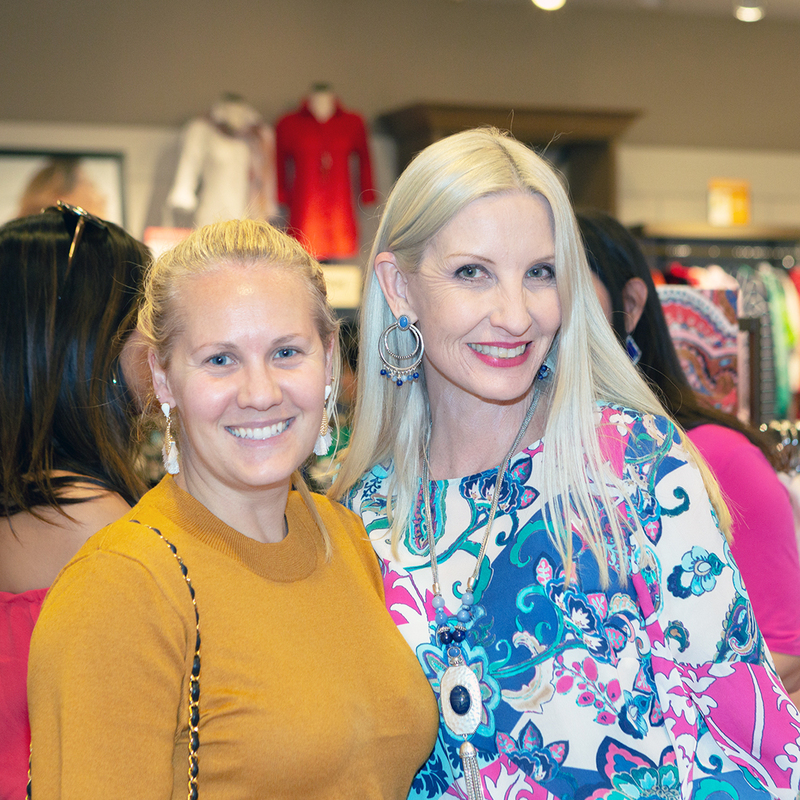 There are amazing bold colors, incredible styles; and I even spotted a few fun dresses which would be perfect for a Derby party! Chico’s also has a section of the store dedicated to travel clothing! 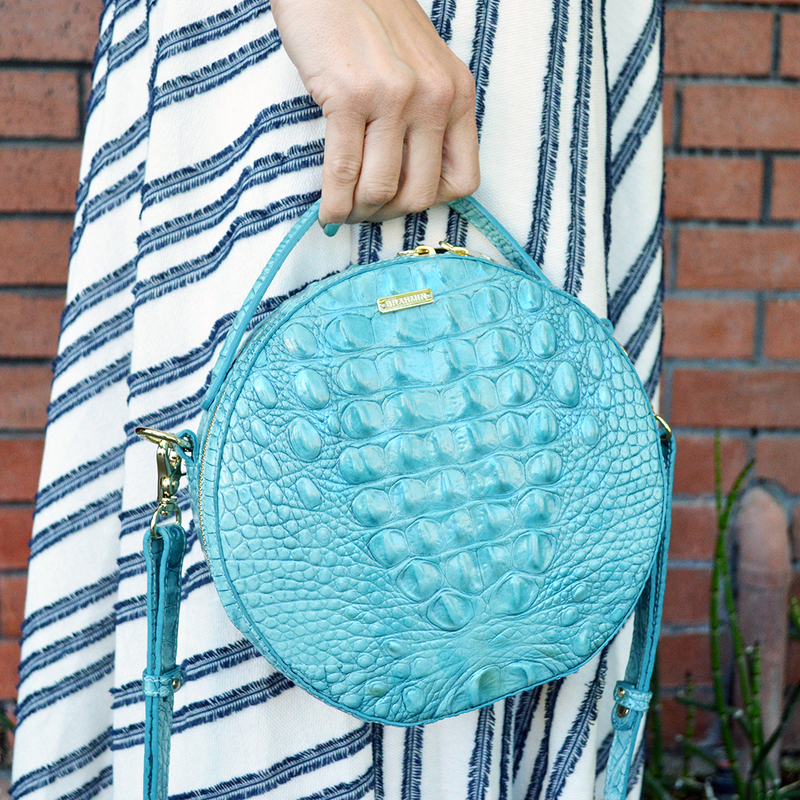 It’s the perfect packable, mix and match selection of fashionable and fabulous clothing. I will definitely be checking it out for my summer vacation plans! It was so much fun seeing everyone at the event! 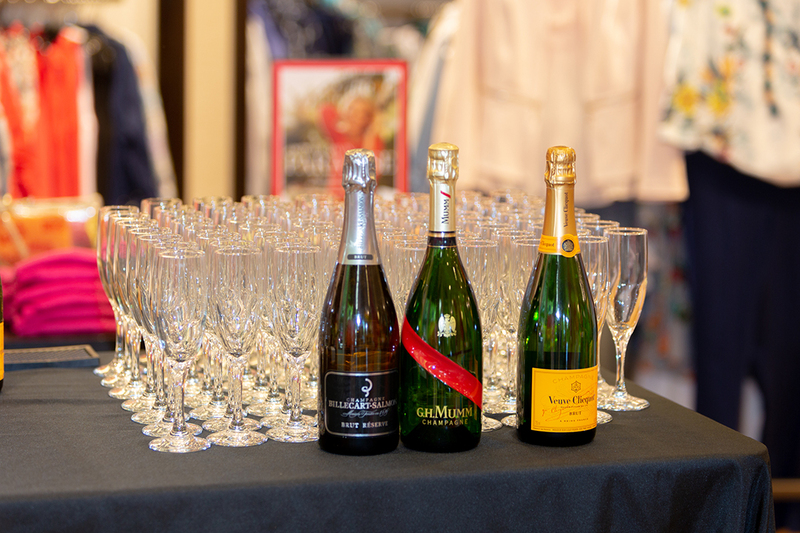 Thank you again to everyone who came out to visit with us, and shop from Chico’s fabulous spring collection. 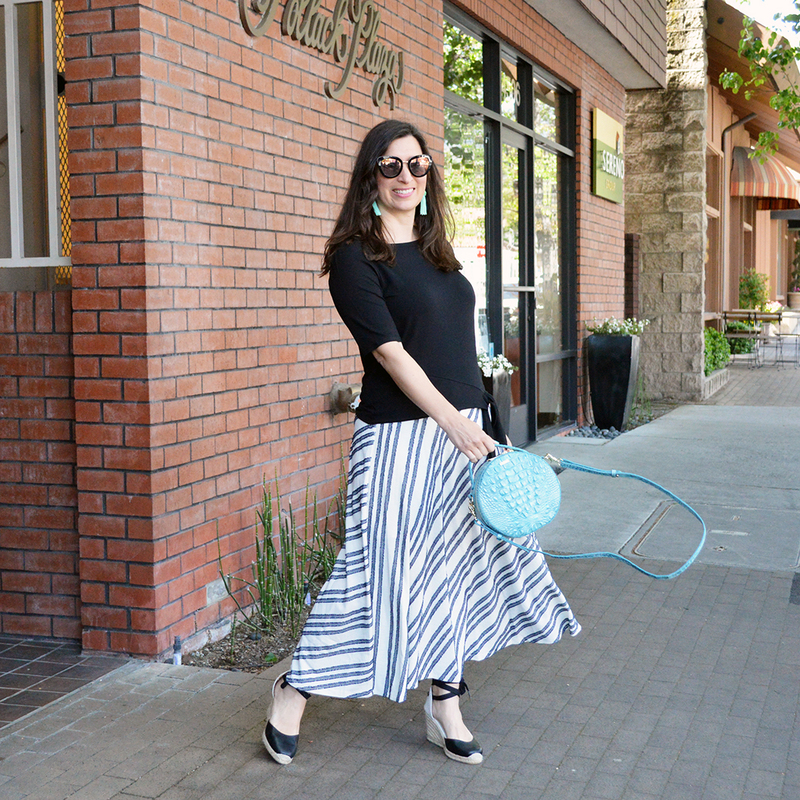 If you have not had a chance yet to check out the collection, definitely visit your local Chico’s store or check it out online at chicos.com. I loved my dress from the event! It’s really comfortable and the fabric is great for traveling; it does not wrinkle! This dress runs a little bit large, if I pick one up in another color I will size down. Happy spring! Our weather is FINALLY jumping into the 70’s and 80’s! It was so nice to be able to wear my warm weather clothing over the weekend! I wore this outfit to church on Sunday, and for a meeting later in the afternoon. 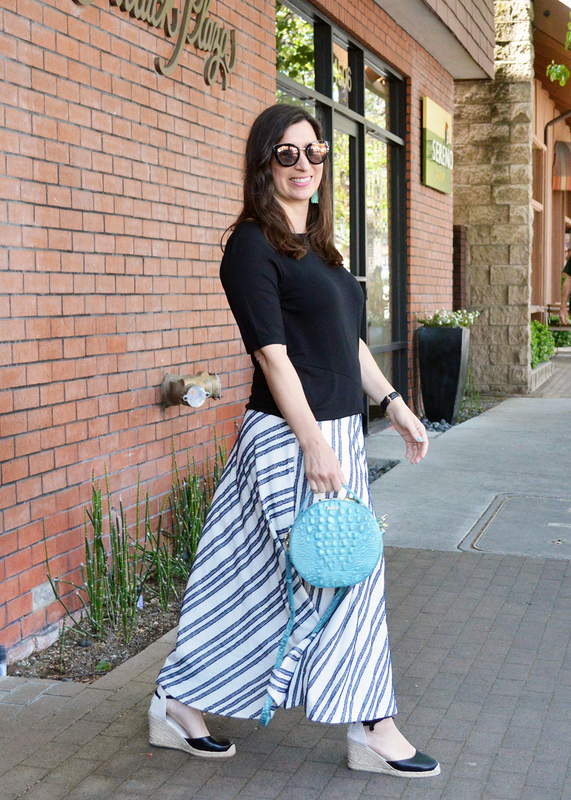 This skirt is so comfortable and perfect for warm spring weather! My daughter is taking a photography class through school and she took these pictures after church on Sunday. 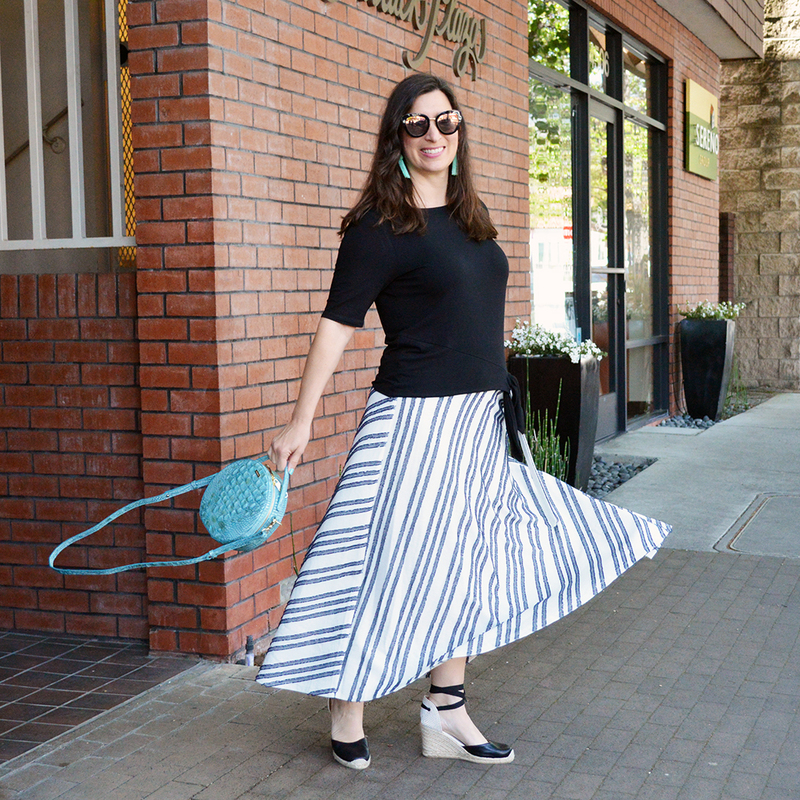 She had me twirling, and moving my skirt like crazy! I think some people on the sidewalk thought I was insane. haha That being said, it was really fun having an eleven-year-old direct me in my photos! She really loves photography and is having so much fun with it. She has a really good eye for nature photos, and her landscape photography is beautiful. We live in the perfect place for those types of photos! 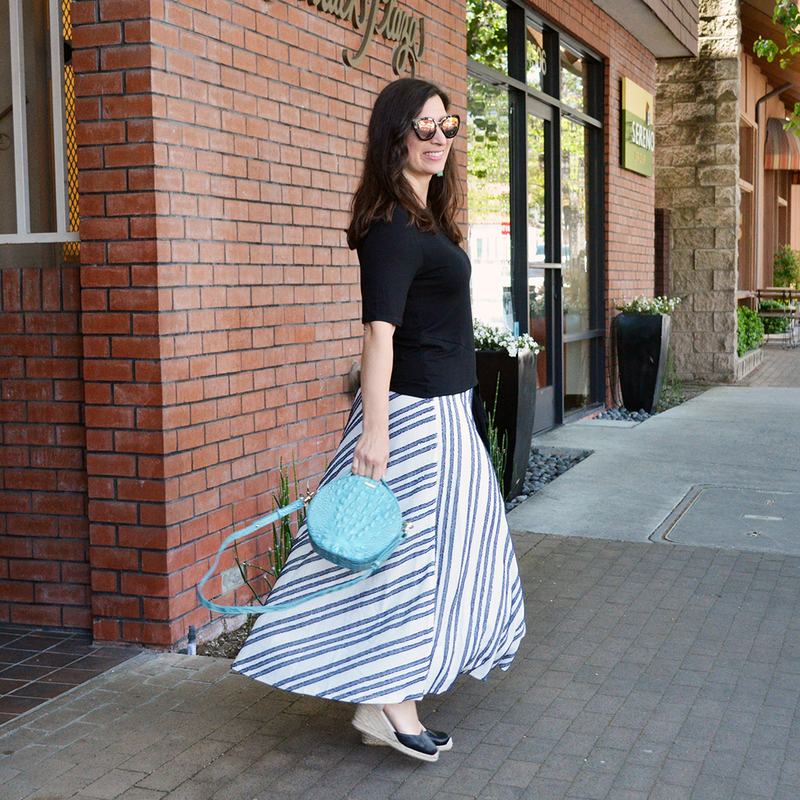 If you are looking for a comfy and casual spring outfit, which isn’t made out of denim, I highly recommend this skirt! It looks really cute with a basic tee, or a twist tee. 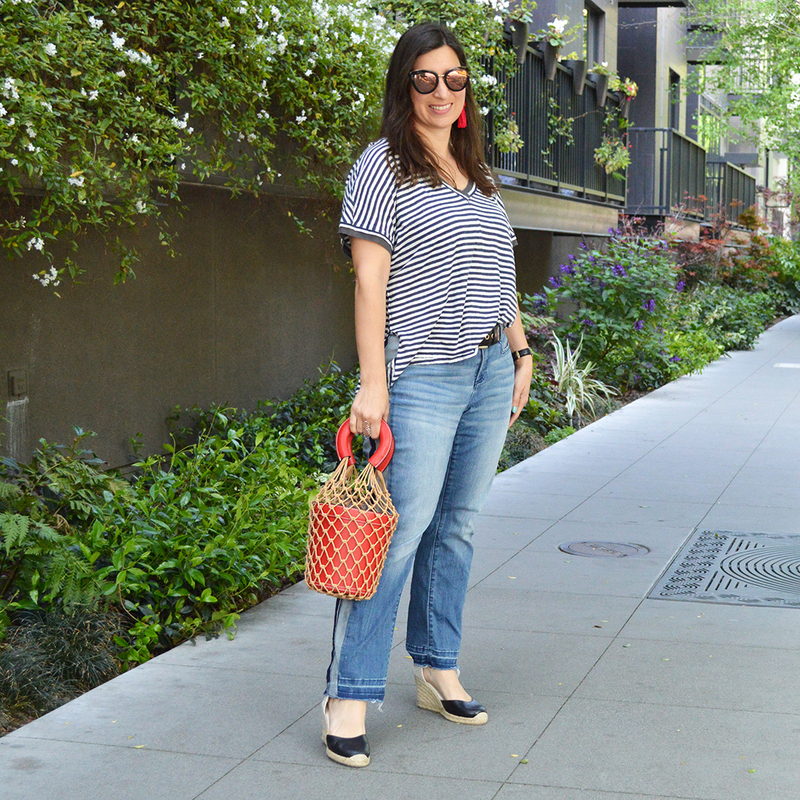 You can wear it casual with flip flops, or dress it up with espadrille wedges like I did. Well, by “dress it up” I mean “put together casual” versus “just threw this together casual” haha if that makes any sense Maybe I’m babbling? OK, I’ll stop. I hope your spring weather is warming up too! Thanks for stopping by!